We look forward to hearing from our readers and providing any assistance that we can to make your CheapScholar.org experience rewarding and informative. The privacy of our readers is extremely important to us. At CheapScholar.org, please be assured that any information you provide will not be sold, leased, or shared with any third party. 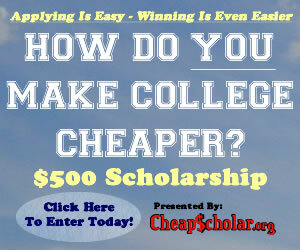 In addition, we encourage our readers to submit questions to us so that we have the opportunity to provide answers on CheapScholar.org for others to read and learn from. Any identifying information that you provide will be removed and total anonymity will be maintained.